Poor Goombas just can't catch a break! Those little brown fungus fellas spend their days roaming around the Mushroom Kingdom, just having a good time... and Mario just smooshes them. How rude! Perhaps those little dudes aren't even in the employ of Bowser. Maybe those little guys just want someone to cuddle with. Maybe, just maybe, Goombas are shuffling through the various worlds looking for a few new friends. But do Mario or Luigi stop to ask them about themselves? No! It's no wonder they're so grumpy looking all of the time. Well, maybe you can treat this cute little guy a little better than Mario does. 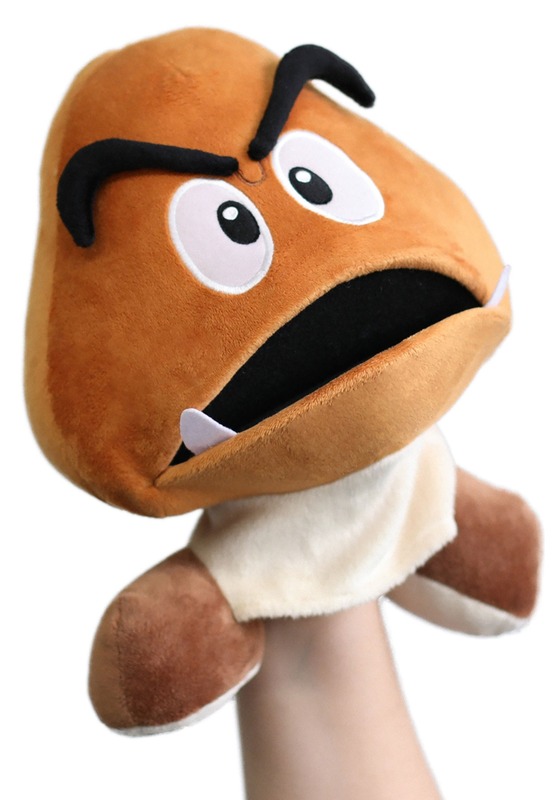 This plush Goomba puppet is one adorable little buddy! He's designed to look like the standard enemy from the Nintendo video game series. He has those big cartoonish eyes and the downtrodden frown expression that most Goombas have. He's made out of a soft, velour material and he has a little compartment on the bottom where you can place your hand. Once your hand is inside, you can control his motions! 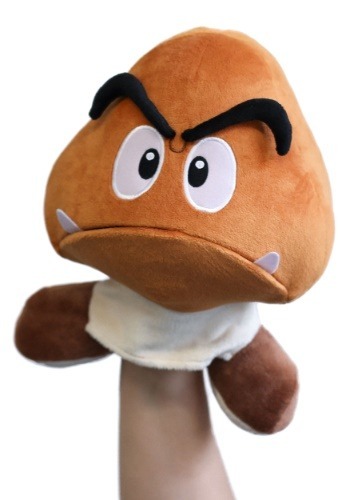 If you want to show the Goombas a little more compassion, then take this little Goomba pal home with you! There's no end to the number of adventures you can have with this officially licensed Nintendo puppet!